Meet the friendly staff at Magnolia Pet Wellness Center! Dr. Christina Barbier has a handsome son, Grant. She also has two feline kids, Midnight and Isabella, as well as Phoebe, a Maltese. She is a native of New Orleans. After attending the University of Alabama at Tuscaloosa, Dr. Barbier went on to graduate from Louisiana State University School of Veterinary Medicine in 2000. 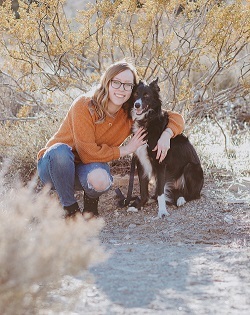 Upon graduation, she relocated to Las Vegas and has worked as a small animal practitioner. In the past, she participated in several mission trips with the Peter Emily International Veterinary Dental Foundation (PEIVDF). Although there have been many extraordinary new medical advances, Dr. Barbier decided to go back to school to study the centuries old technique of acupuncture to enhance the traditional medical care of her patients. She received her formal training at THE CHI INSTITUTE under the world-renowned holistic veterinarian, Dr. Huisheng Xie. After studying both western and eastern medical practices, she has gained an understanding of how the two approaches can work together and integrates them in her patient care. 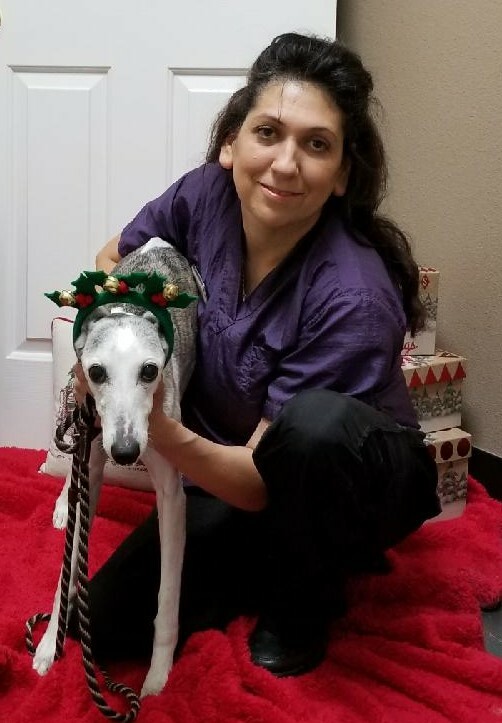 Thus, Dr. Barbier practices INTEGRATIVE medicine- a combination of traditional Chinese veterinary medicine and conventional western medicine to diagnose and treat her patients. She uses modalities such as acupuncture, essential oil therapy, herbal therapy and food therapy. 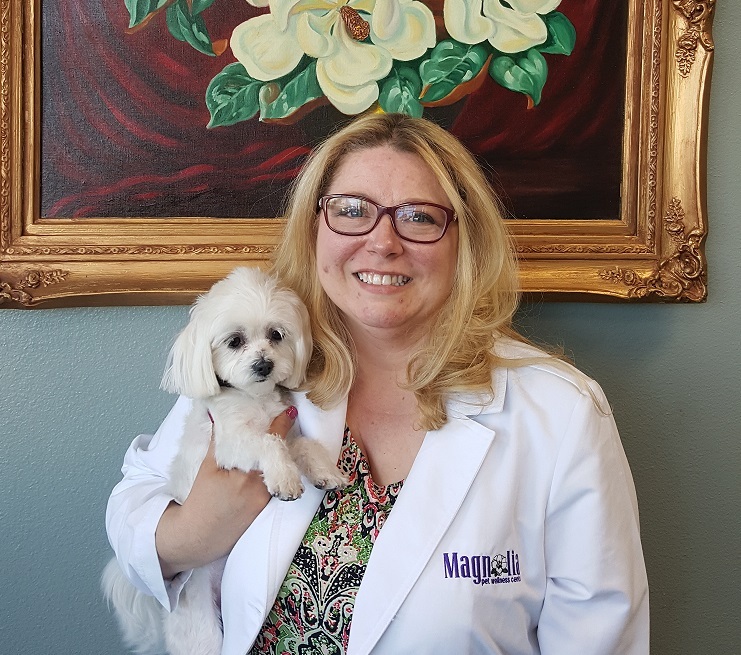 After having her own relief veterinary company here in Las Vegas, Dr. Barbier decided to pursue her dream of opening a wellness center and pet resort. This facility would enable her to treat both ends of the leash. It has taken nearly 3 years for Dr. Barbier’s vision to materialize into Magnolia Pet Wellness Center. Pat was born in Phoenix, Arizona then moved to Japan and finally her family settled in Southern California, where she grew up. She moved to Las Vegas in 1998 from Southern California. She is following her lifelong passion to work with animals. 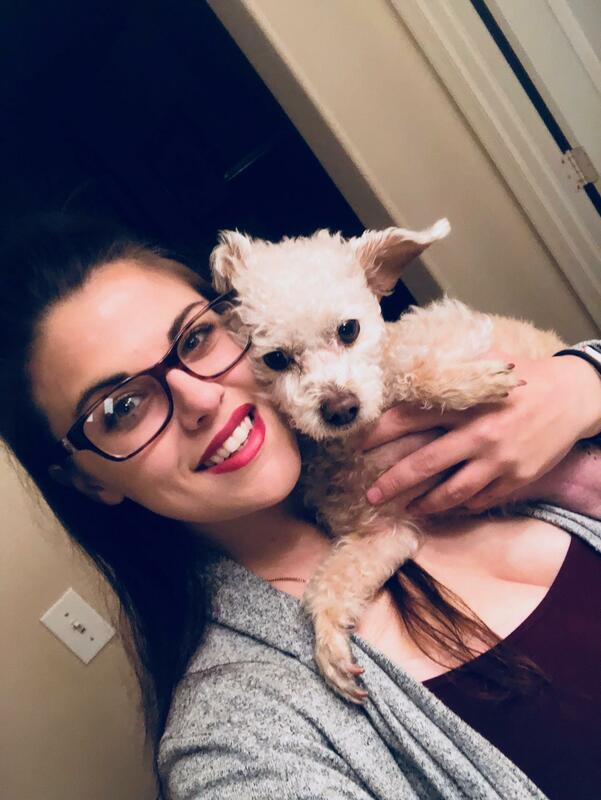 When she has free time, she enjoys traveling, swimming, movies, concerts and playing with her two fur babies - a Golden Retriever, Minnie Latte and her puppy Harley. I am originally from Southern California. I moved to Las Vegas in 2000. I am the proud mother of two amazing kids, Alessa who is 8 years old, and Parker, who is 5 years old. I also have 3 fur-babies, a pug named Ginger, Peaches (a mini Poodle mix) and Eddie, a mini Schnauzer. In my spare time, I love to sleep, cook and bake. I also love taking the kids out to somewhere fun. Coffee is a must have on a daily basis! I love tacos, the beach, surfing, reading and enjoying life to the fullest. Kianna was born and raised in Henderson, Nevada. 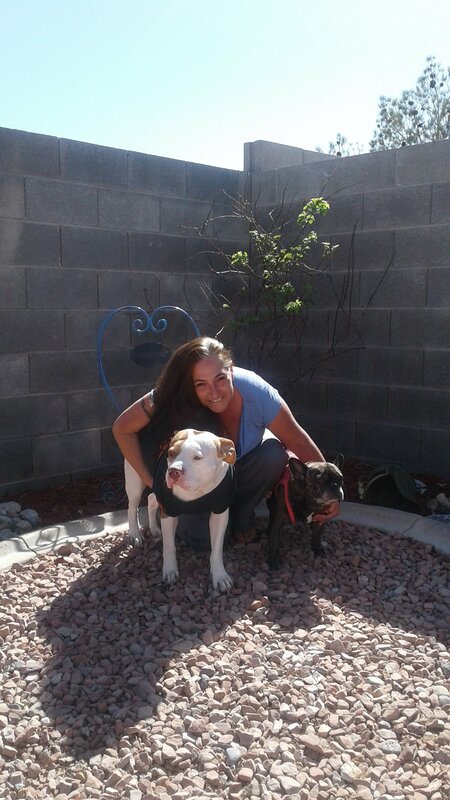 She became a Vet Assistant in 2013 after graduating from Pima Medical Institute. She is a proud mother of two dogs, a border collie named Newton and a pomeranian named Nilla. In her free time she likes to drink coffee, take photos, and watch movies. Ricky is a 26-year-old Las Vegas native that went to Las Vegas Academy of the Arts Performing Arts for Dance and Theatre. He is currently attending Independence University online for Business Administration with an emphasis in Marketing. Growing up he had five Shih Tzus and now has a Pitbull (Dasha; right) and an English Bulldog (Yaya; left). 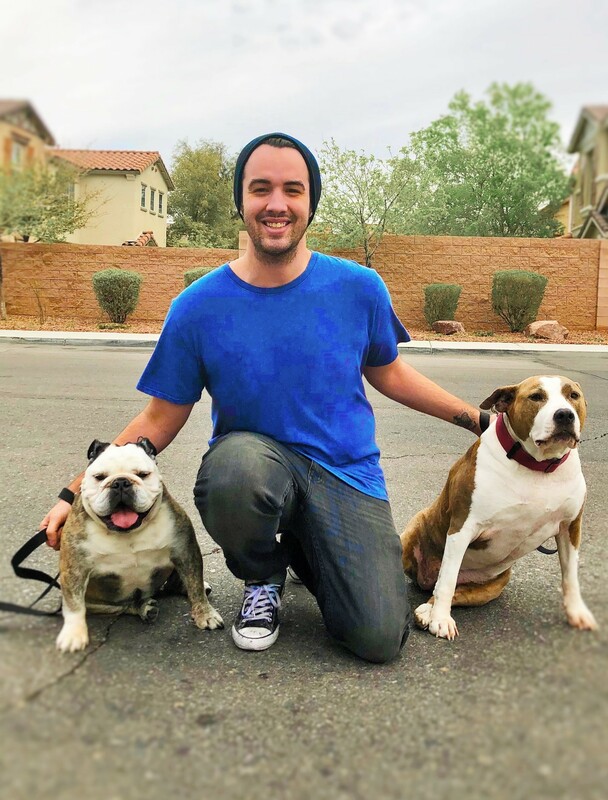 Ricky is very excited to be apart of the Magnolia Pet Wellness Center family and promises that he will do nothing but his best at taking care of you and your fur babies during your visit. 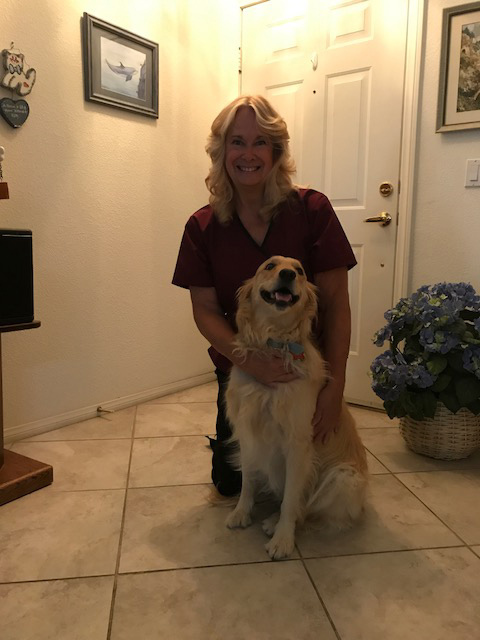 Luann has worked in the animal medical field for about 8 years. Her love for animals started when she was a shild. Her family ownerd a small pet shop in West Covina California from 1970-1990. She grew up riding horses and helping her uncle with his farm. She is married and has 2 dogs Harley Davidson who is a Pitbull mix and the Meatball dog who is a Frenchie. She has never had children so she thinks of them as her kids. Jennifer was born and raised in Las Vegas. She has 1 fur-baby, a whippet, named Cora. Cora is 16 years old and is as wild as ever! She is Jennifer's only "girl" and she loves her to pieces! Jennifer went to pet grooming school and received her Masters All Breed Certification. She has been grooming for 25+ years and absolutely enjoys her job! Working with animals has always been her passion. What she enjoys most about her job is making animals feel clean, confident and well grounded with themselves.